The Jaipur Metro rail started working from 04th June 2015 for general public. 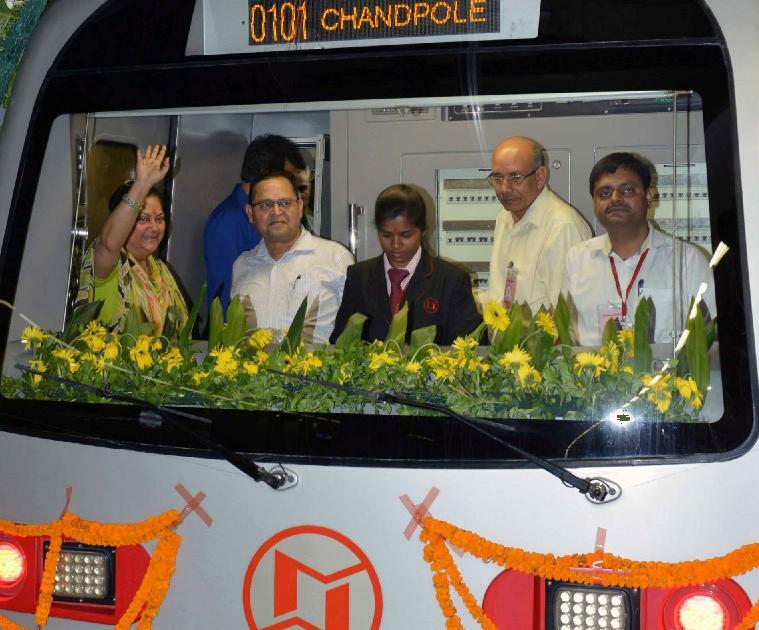 Rajasthan Chief Minister Vasundhara Raje Wednesday flagged off the Jaipur metro train. This Metro considered to be one of the fastest metro launched yet. Total Length of Jaipur Metro is 9.63 Kilo Meters elevated route with 9 stations.